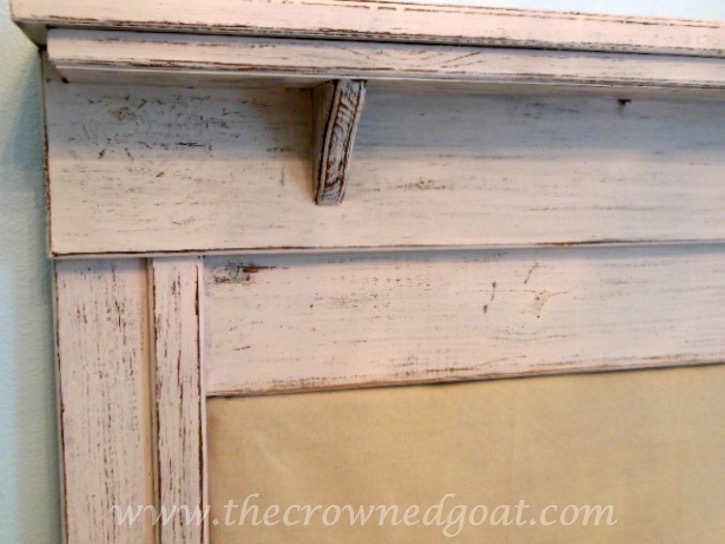 So, I know at the end of yesterday’s post I said I would have a recap of the bedroom but the package I’ve been waiting on hasn’t arrived yet so I thought I would share how we made the headboard from an old mantel. In February of last year, while picking through an old barn I found a mantel I just had to have. The cost was $10 and I happily paid my uncle on the spot. It was solid. It was old. It was amazing. I was clapping, dancing and high fiving over my “score” until I realized I couldn’t get it home. We had rented a 15 passenger style van to carry the other things we’d found that day but the mantel was just too tall to fit. So I waited a few weeks until my uncle kindly drove the two and half hours to deliver the mantel that would become a headboard. 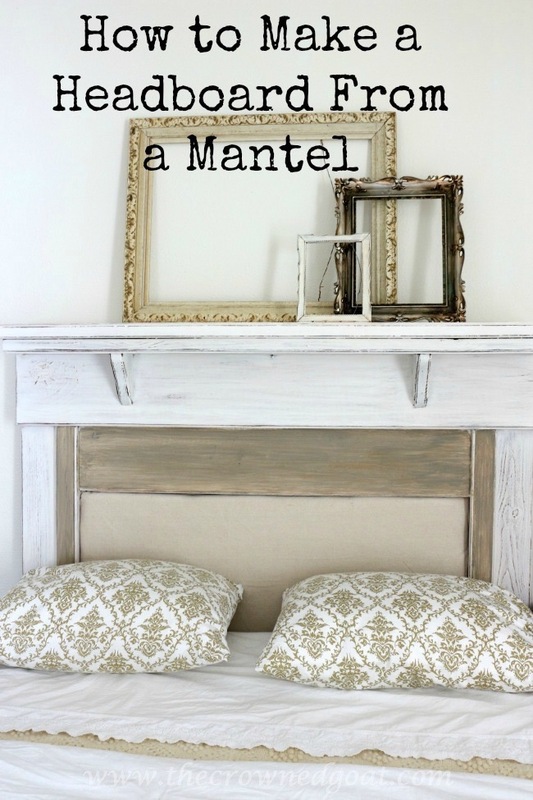 Of course, I enlisted my bestie S to help make my mantel to headboard dream a reality. Full disclosure if you’re thinking about doing your own mantel makeover, you’ll need power tool skills and depending on how much your headboard weighs extra muscle too. This mantel was very old and weighed about 100 pounds. As always, use safety precautions and common sense when DIYing, using scissors, spray adhesives, power tools and lifting heavy objects. After measuring the inside edges of the mantel, we went to a local home improvement store and bought plywood for around $20. 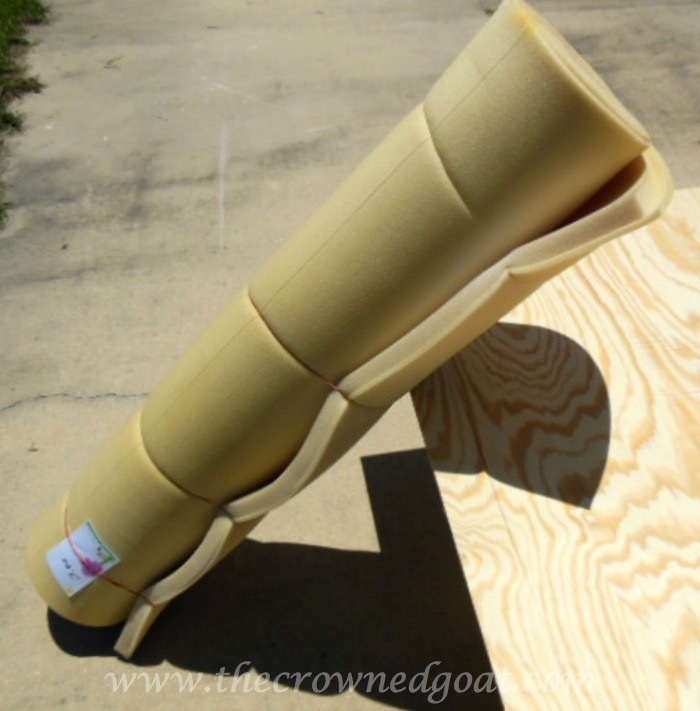 We found this roll of foam at a tag sale. It set us back a whopping $3. The foam already had a grid pattern on it, which made it super easy to cut to the size we needed using very sharp scissors. It was a little hard to see the grid in the afternoon sun so we decided to use a marker to help give us a clearer cut line. 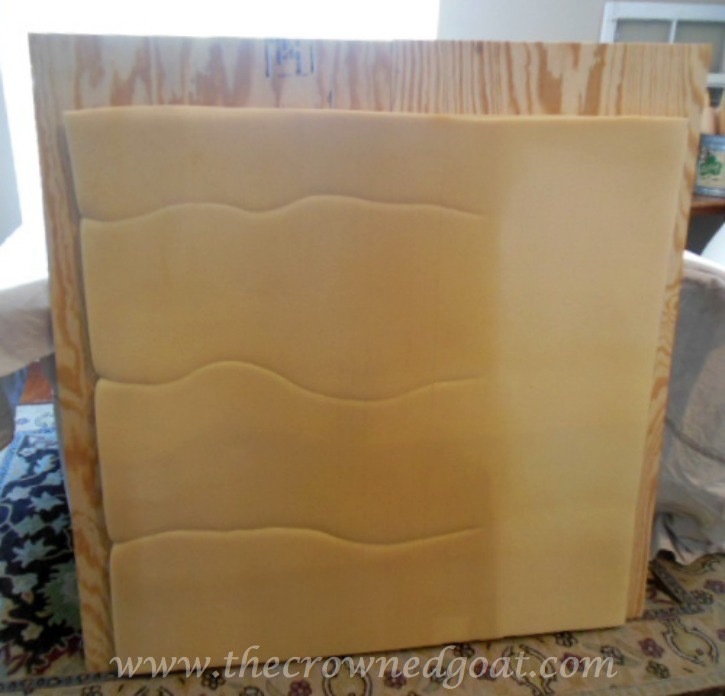 To adhere the foam to the plywood, we used a spray adhesive purchased at a local craft supply store. Once the foam was firmly in place, we waited for the adhesion spray to properly dry as per the instructions on the back of the can. Back inside, we used an old coverlet as batting. 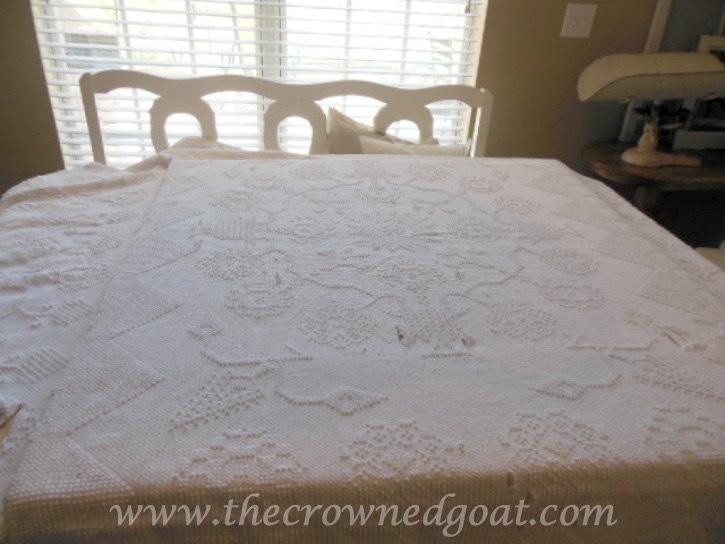 The coverlet had been washed so many times it was starting to unravel in places. I didn’t want to throw it away so I decided to repurpose it as batting. 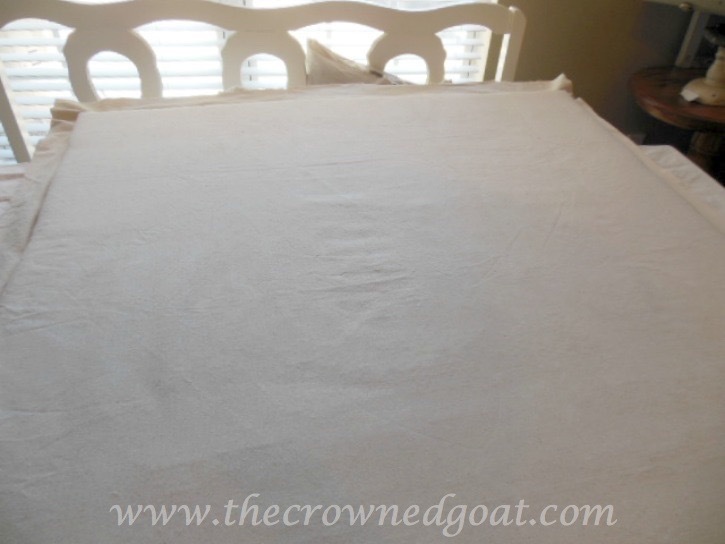 If you want to purchase batting you can find it at most craft/fabric supply stores or online. 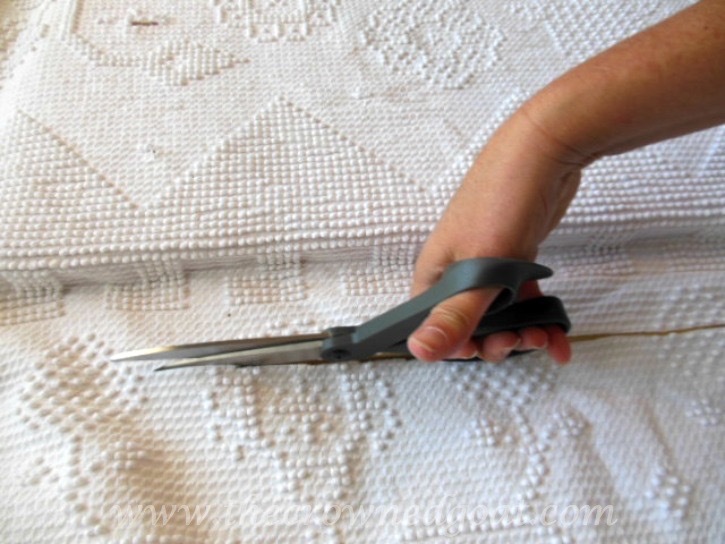 We measured and cut enough of the coverlet/batting to go over the foam. 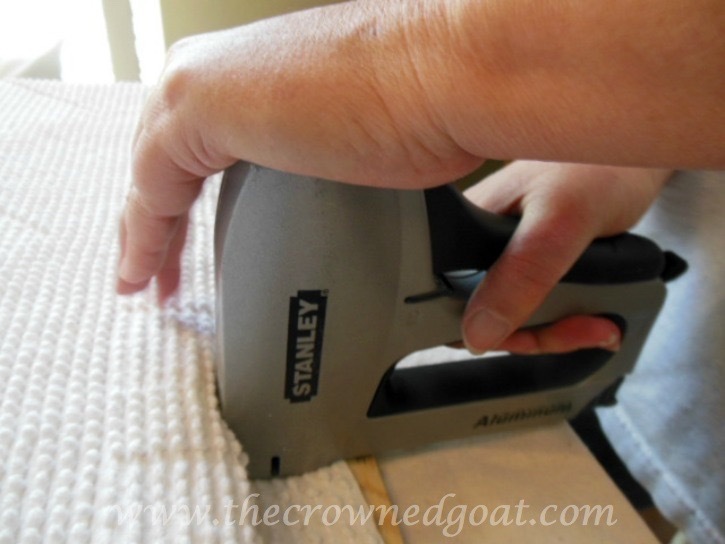 Then used a staple gun to staple the coverlet to the plywood. 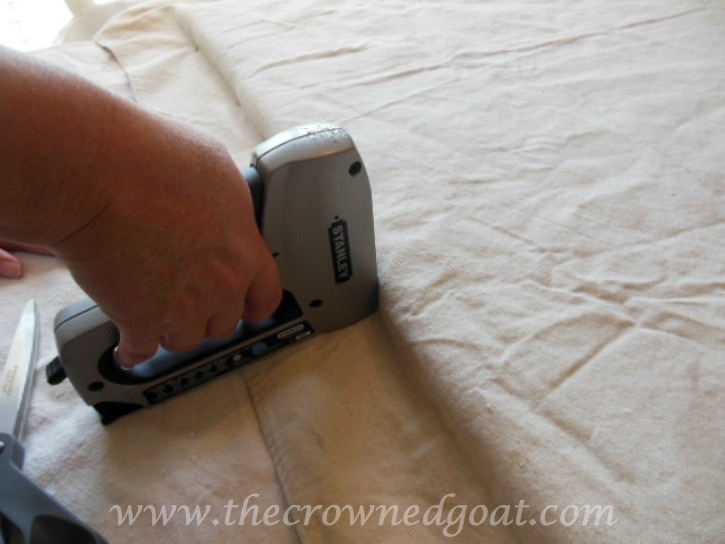 Next we measured and cut enough canvas drop cloth to go cover the foam and coverlet/batting. 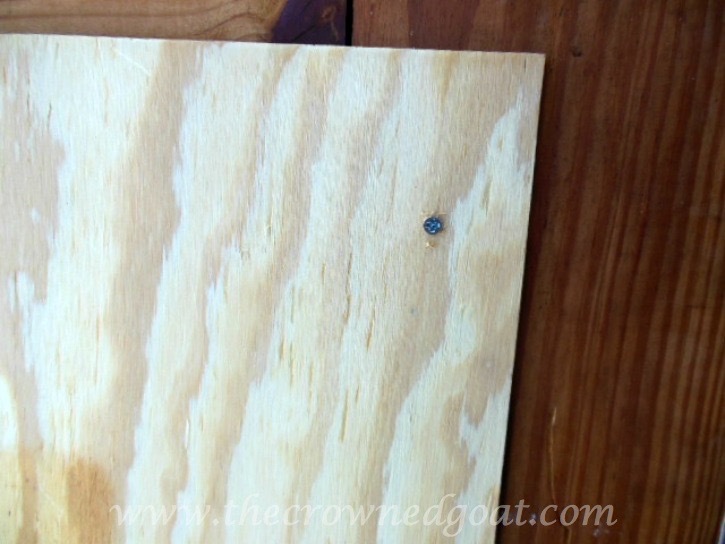 Then stapled the drop cloth to the plywood. 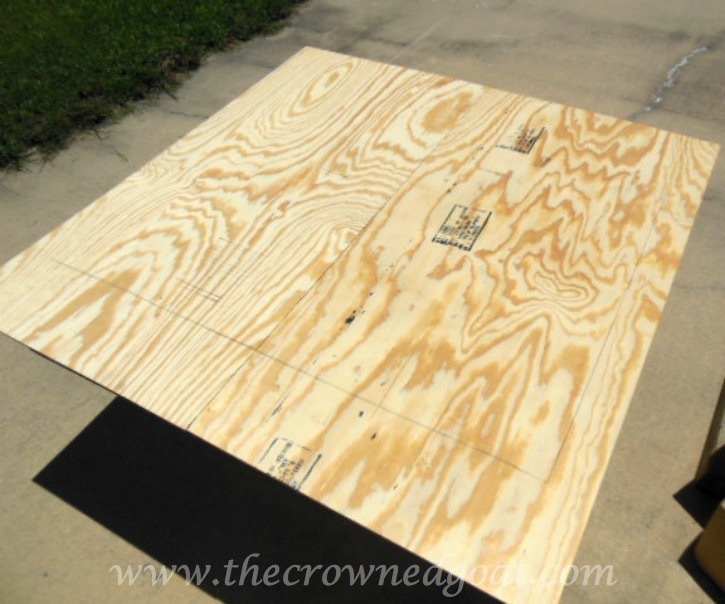 Once the foam, coverlet batting, and drop cloth topper were secured we hauled the plywood back outside and joined the plywood to the mantle with screws using a cordless drill. 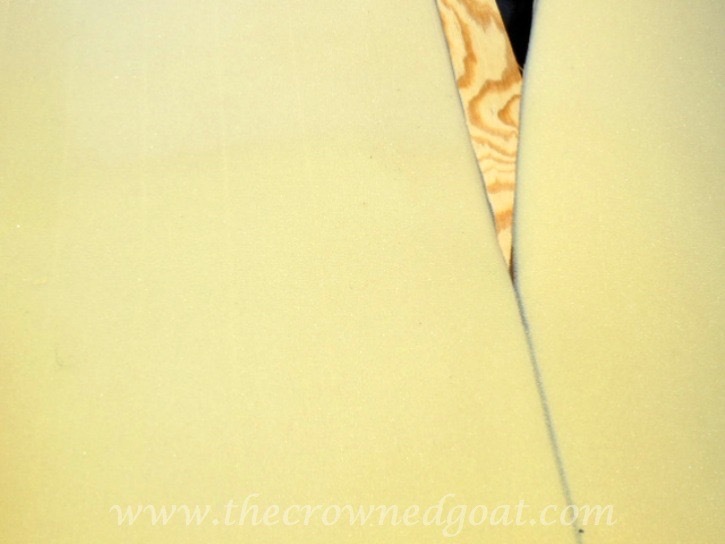 Given the walls were painted in a pretty shade of pale blue and the rest of the furniture in the room was off white, I chose the sweetest shade of pink I could find called Ballet Slipper and sealed with a coat of clear paste wax. When it was all said and done everything turned out exactly as I had envisioned. Little did I know, almost a year later, I would be painting the mantel turned headboard white and giving the entire space a breath of fresh air. Here’s one for your Pinterest board! See you guys back here tomorrow. I’m spending the day with my mom! We’re taking a break from all the decorating to finish up a few projects for my childhood home Loblolly Manor. 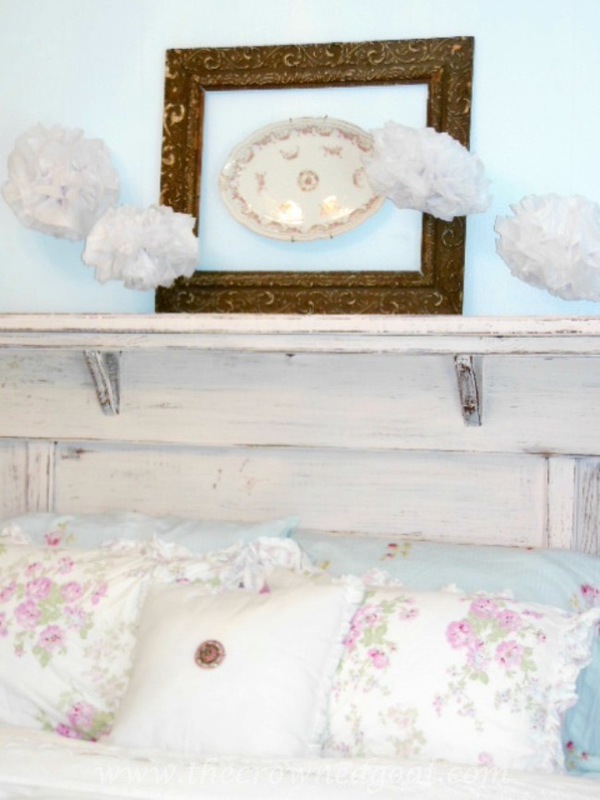 Dearest CoCo – Your headboard is gorgeous and I love both versions of it. The second one is really beautiful and I can’t wait to see the rest. Wow, CoCo!! I’d never think to turn an old mantel into a headboard! I love all of the character and charm of this mantel 🙂 Very cool! !